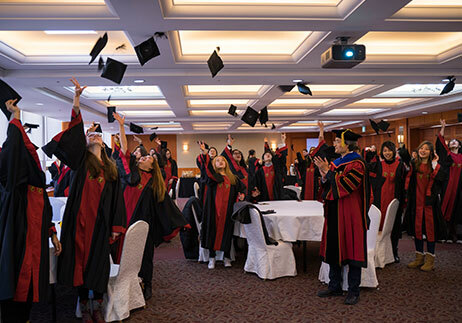 The KU IWC, which started in 2016 and has grown to become the best in Korea, offers lectures on various fields including management, economics, humanities, and science given by professors from both KU and from prominent universities all over the world, including King’s College London, the Australian National University, the University of Wisconsin and California State University. 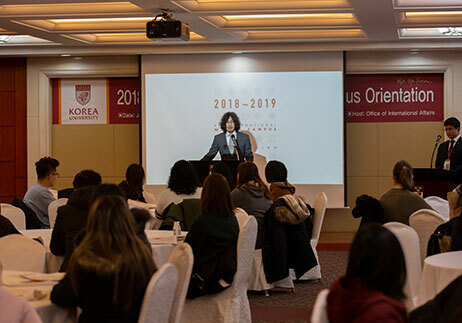 The KU IWC 2018-2019 program, the largest program of its kind in Korea, commenced on December 27, 2018. A total of 740 students from 88 universities in 19 countries including Australia, Singapore, Hong Kong, the United States, China, Indonesia, England, Brazil, Ireland, Netherlands and South Africa took part. 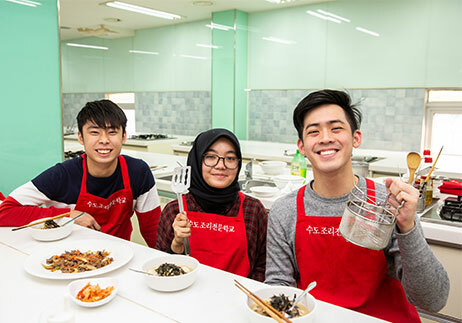 In addition to attending academic courses, the students enjoyed various cultural activities such as a K-pop flash mob dance, a Korean cooking class, and a field trip to broadcasting station MBC. The KU IWC completion ceremony ended with students receiving Instagram photo awards and watching a video clip of activities from the program’s six weeks. 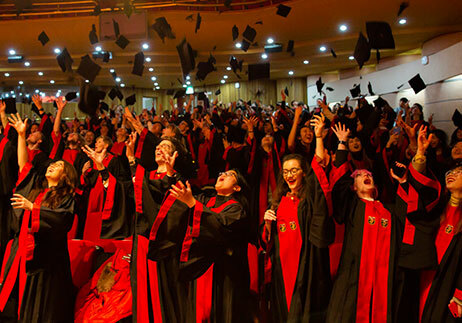 The ceremony culminated with the students throwing their graduation caps into the air as a sign of congratulation. After the ceremony, the students took pictures with their professors and fellow students to capture their memories of the happy occasion.